Hi! Great review! How did you like the mounting point? Did you try it more forward? Thanks, Eric – we talk about the mount point throughout the review, but in short: I really liked the recommended line, and don’t have much interest in getting more forward. -4.6cm of center is more forward than where I have my 190 Bibbys mounted, and is much further forward than the ‘directional chargers’ I spend a lot of time riding. Alex, however, would go at least +1 and maybe +2 of the line, and suggests doing so if you’re going to be skiing switch or spinning much. Great review. Could either of you comment on the differences between this ski and the Mr. Pollards Opus? Would it be a fair to say the Jeffery might be the middle ground between the Opus and the Blister/Bibby Pro? 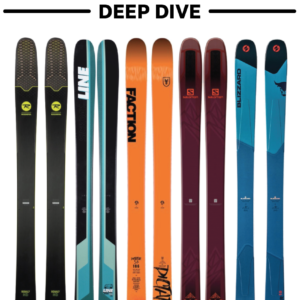 I haven’t skied the Opus, but according to Jason Hutchins (see his review), the 185 Opus is a very soft ski. So between the Opus and the Bibby, I am confident that the Jeffrey would sit closer to the Bibby than the Opus. There is no ‘charger’ in the Opus – it’s pure play. That isn’t to say that some people can’t ski the Opus very hard, but if you can rally the Opus through variable snow, that says more about your balance and skiing ability than what the Opus was optimized to do – trick and spin. As ON3P says, the Jeffrey has a backbone. So for pure play, I imagine the Opus wins. But as we say, if you’re looking for a ski that will allow you to trick AND go ski hard all around the mountain – and in variable snow – so far, the Jeffrey hits that mix incredibly well. Sounds like the Jeffrey sits closer to the Deathwish than the Blister Pro. How do the Jeffrey and the Deathwish compare? As the Bibby Pro is back can´t you talk Moment into building this Ski as the new Blister Pro? Do You think the Kartel 106 would do the trick? Having said that, the 184 Deathwish and the 186 Jeffrey are definitely not more similar than the Jeffrey and the 190 Bibby – read Will Brown’s comments in his review of the 190 Deathwish re: the 184 vs. the 190. So what I can safely say is that if you’re considering the Jeffrey or the Deathwish, you ought to be considering the 186 Jeffrey and the 190 Deathwish. And still, the fatter tips and tails of the Jeffrey are closer to those of the Bibby than the Deathwish – the Jeffrey & Bibby feel more like pow skis that work really well as all-mountain skis, while the Deathwish feels like an all-mountain ski that doesn’t particularly shine in pow. As for a PBJ-meets-Bibby at 108mm underfoot, it seems to me that Moment is already basically building that ski, but it’s a couple millimeters wider, and it’s called the Deathwish. 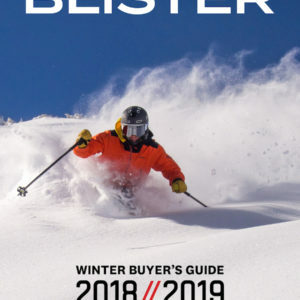 It’s been a while since I’ve seen a review by Jason Hutchins, which is a shame because I generally like his takes as a less directional, more jibby skier, and I would have been interested to know what he thinks about a number of new skis from this year (new Bent Chetler, Magnum Opus, a couple of Faction skis he had written he’d test). Is he still writing for Blister? Any chance he’ll post about the skis he’s skied this winter? Hi, Henri – Jason’s still writing for us, but unfortunately, his graduate school work has really been getting in the way this season. So we’ve lightened his review load a bit out of necessity. (Stupid higher education.) Plus, as Jason kept apologizing for / complaining about, it was a pretty bad snow year in the Wasatch, and if your schedule didn’t permit you to catch just the right days, you were pretty out of luck. So Jason has had the Magnum Opus, but I’m not sure how much time he’s been able to put on it. (Come to think of it, I owe Jason a phone call…) But I promise, this isn’t the last you’ll have heard from Jason. But in other eerie / funny news, Alex Adams (who did this co-review with me) is basically Jason’s doppleganger. 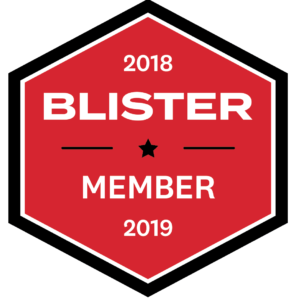 It’s unbelievable, and it probably warrants it’s own article on Blister. But Alex’s favorite ski of all time is the Sickle, and he LOVES the OG K2 Hellbent — same as Jason. Watching them ski (or ride bikes), the consensus comment is that it’s the closest thing to watching Jason ski or ride that we’ve seen. All that to say, it sounds like you should pay close attention to Alex’s comments on this stuff, too. Thanks, Tom. As for MVP / Jeffrey comparisons … not really. After the quick adjustments that both Alex and I made on the Jeffrey, that ski just felt intuitive everywhere. And “intuitive” was never a word that came to mind for me when skiing our particular iteration of the MVP. But as for sizing, I don’t have any reluctance in recommending the 186 at your weight, though I don’t know how/where you ski. But the 186 Jeffrey is not a handful. 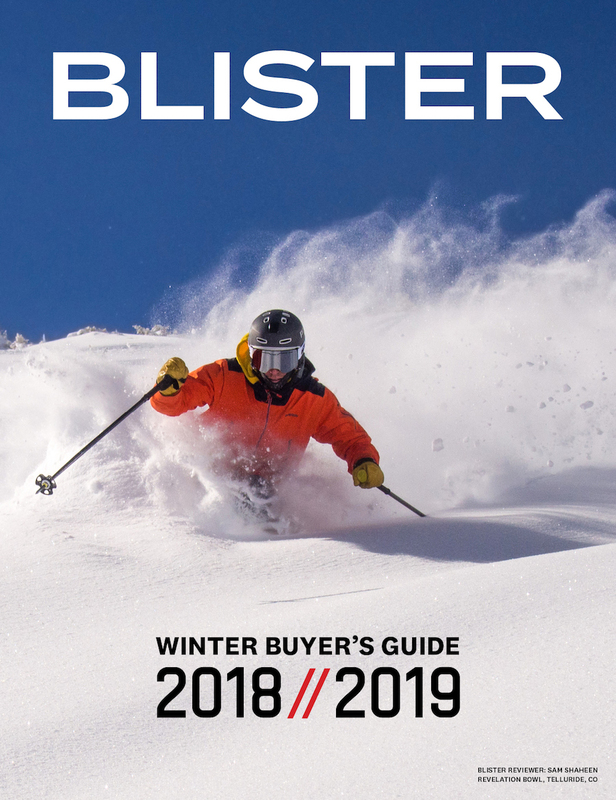 I actually toured yesterday on the 184cm Blister Pro (I don’t think I’ve skied a 184cm Bibby since 2011), and while I still think the 190 Bibby is probably the better comparison to the 186 Jeffrey, I don’t believe that anybody that is comfortably skiing the 184 Bibby or the 185 Helldorado will feel out of place on the 186 Jeffrey, or ought to move down to the 181 Jeffrey. The Jeffrey has a lot of tip & tail rocker – i.e., short effective edge – and it isn’t a heavy ski in the category. Would Alex do second take on the 181 Sickle even though the ski is out of production? Lots of viewers were confused about the 181 vs 186 Sickle. Good to hear Jason is still in the fold. Will Utah have better snow when he graduates? Great review as always. These are topping my list for next season along with the J ski friend, 4frnt YLE, and gunsmoke. Any chance you’re going to get some runs on the J’s or the YLE’s this year? Would love to see comparisons or those too. My season ended in April with a horrific fall that was an angels breath from fatal but now that I can feel again I keep checking my mail for the tickets I’m sure you sent me to hook up in Portillo with a quiver of ON3P’s finest. I’ve got to get back on the horse at some point and Roca Jack looks like it’s hitting. I’m sending you a stamp in case you spent all your money on my tickets so I’ll check the mail again soon and see you there. Really enjoyed the review! I was wondering if you were going to get a chance to ski the Jeffrey 122 in the same length or if you already have experience on it? I really like the sound of how the Jeffrey 114 performs and ON3P Skis in general but am looking for a more pow oriented ski to fill my quiver. 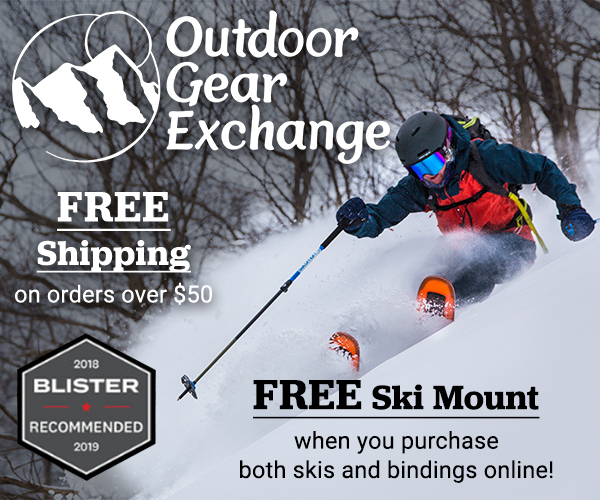 Would you be able to provide any performance comparisons of the two Jeffrey skis? Any help would be great! Any thoughts on the 191 vs 186 for the smaller mountain (1000 vert) and my size combined? 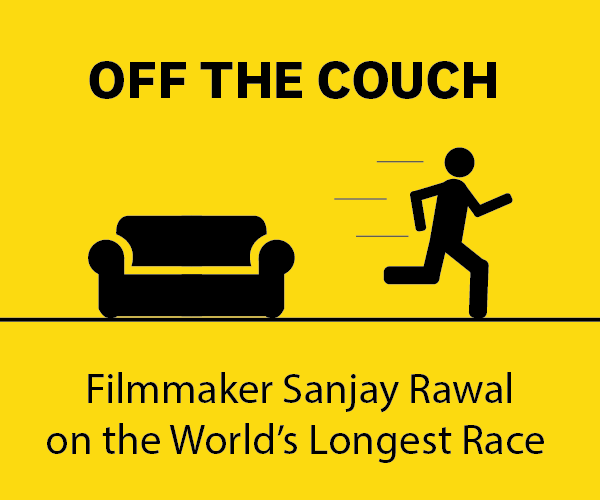 Would the 191 loose any of the 186 playfulness? Will it be more loose due to that softer tip and tail further out there? I generally ski fast (fwd/swch), hit cliffs, steeps, booters, natural features and play around on the hill like it’s my kids favorite play structure. Will I be diving over the front of the 186? I dig a center mount ski and want something to be like the Spatula was (center skied), but without the full on waterski effect (i’ve got some Praxis Pow boards for that…). Anyhow… shooting the breeze now. Thanks for any thoughts. The ON3P Jeffrey has me in intrigued. Was about to pull the trigger on Line SFB. I’m a big Nordica Soul Rider fan and wanted something wider with the same charactericstics. Any thoughts? I’m 5’10” about 155lbs, lightweight.